The Person I admire, For one whole world looks forward, The one having strong will and strength and people having faith of his words. 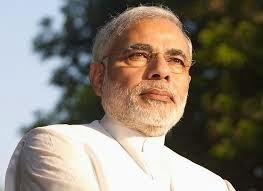 I congratulate Narendra Modi Sir for his glorious and historical victory. Today will be the memorable day in my life because for the first time I voted for LokSabha election to deserving party and the one I voted Won. Congratulation Sir for wining the election of worlds largest democracy.Now finally I am from a country where Gandhiji, Sardarbhai Patel born and last-but-the-list from a country where LION RULES. Long Live Modi Sarkar. May God Bless us all with strength, will, determination and power. We trust you and we adore you and no-doubtfully you will lead India to a remarkable position.